Little steps from the Garibaldi station there are the trains 'Circumvesuviana' for Sorrento , Pompei and from the modern directional center near the historical center of Naples and in the immediate vicinities of the main ways (Freeways and Median axis).Only 10 minutes from the airport and marine station of Naples to reach the islands of Ischia, Capri and Procida. 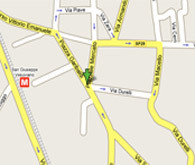 The hotel is situated at the exit of the station, keep right, after three building there is the hotel. 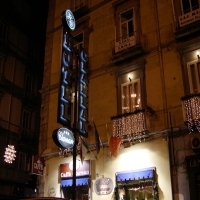 Clarean hotel is far only 10 minutes from the airport of Capodichino . It is possible to take the comfortable bus 'Alibus shuttle' or the line 3S of the town services in a few minutes Garibaldi square is reached.